A new News/Magazine theme with integrated social widgets and an automatically updating slideshow is now available to download for free. 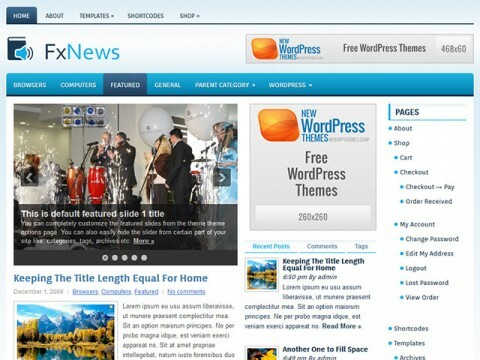 FxNews is a cutting edge theme with spectacular visual elements. Up to 69% off for hosting packages!